Think about embrace the warm lighting during the winter when we were the child period. The design origin from the same feeling started from the child time. It creates visually the lighting, and the paper material cover provides the misty and mild feeling. 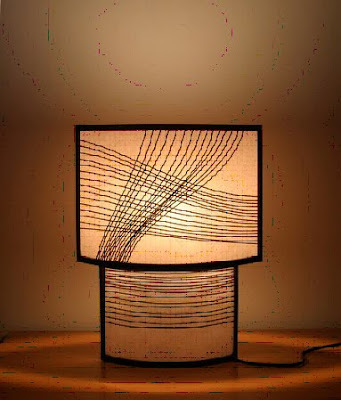 The curve lines are the one made with bamboo wires. The overall lighting frame is made with bamboo too. Such design includes also the Japan element to make it have more visual values. It’s typically design for the in door using in order to have the warm feeling. If put in the office or study room, it helps to the inspiring and heavy thinking during the mid-night.